The Johnston High School Varsity Marching Band recently completed a very successful season. 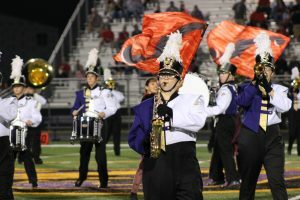 On Saturday, October 15 the band performed twice at Waukee Stadium. The band received a I (superior) rating during their afternoon show. During their evening show the band received first place in Class 4A and were the Grand Champions of the Waukee Marching Invitational. The band scored a 90.1 out of 100, representing one of the highest scores in school history. The Johnston Drumline also received 1st place in Class 4A. The band is directed by Jason Heeren and Jeff Robilliard.